Cats don’t get much more International than this! Wakanda is as fictionally international as it gets and this Black Panther set gives us two cats. 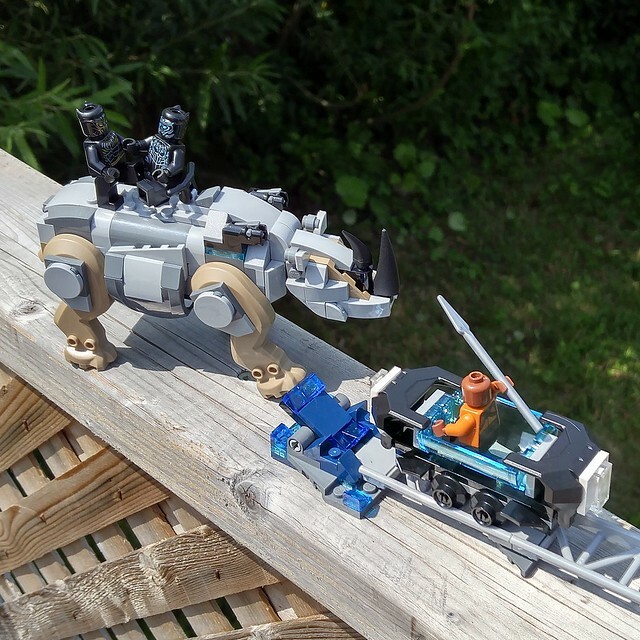 Remember that scene where the good Black Panther dance-fights the bad Black Panther on the back of a rampaging cyber-rhino while Okoye threw spears at them from a vibranium filled mine cart? No? Well, that’s what’s happening here. I think the heat is starting to melt my brain. Happy International Cat Day , everybody!